Never mind a spot of rain, or the labrador stealing your sandwiches, this could really spoil your day's shooting. There you are minding your own business, enjoying a bit of peace and quiet in the countryside, watching that flock of pigeons crossing the far side of the field and hoping they'll swing towards your decoys... when a dark blue and yellow helicopter comes low across the hedge. It swings towards you, and you think "Damn, that's going to put the pigeons off for a bit." It hovers over you, and through the godforsaken racket of the rotor blades, you hear the Voice of God: "Put down your weapon..."
That's the point where you start to get the hump. What the hell? Who do they think they are? Why should I throw my valuable gun in the dirt? I'm not bothering anyone, this is perfectly legal, etc. All of which are perfectly reasonable things to think... but could get you shot, or at the very least escalate what I've learned is a "low profile stop" into the much more shouty, gunpointy "high profile" version. 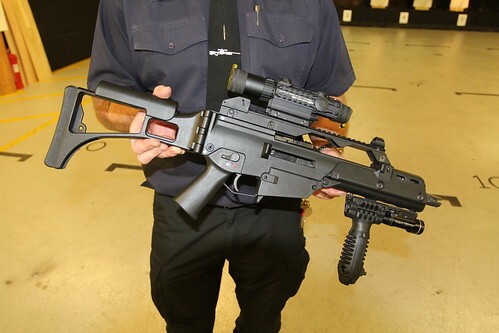 I spent Friday at Leicestershire Police HQ, with their Tactical Firearms Unit who - despite appearances - are a very decent, polite bunch of men and women who would like to get on better with the local shooting community. Actually a lot of them are very much part of the local shooting community - PC884 Graham Priestnall, for instance, is a keen shooting man who likes nothing better on his day off than to wander through the fields with his shotgun. Two years ago, he and his colleagues decided they were spending too much time and taxpayers' money bothering people who were shooting legally, and looked at ways of improving the situation. They came up with the not-so-snappily titled VNSE - Voluntary Notification of Shooting Events. Bascially, they ask shooters to let them know where and when they plan to go shooting. There's a dedicated telephone number and an email address, and the process takes only a few minutes - just the outline details of name, shooting location, mobile phone number, and the reg no of the vehicle you'll be using. 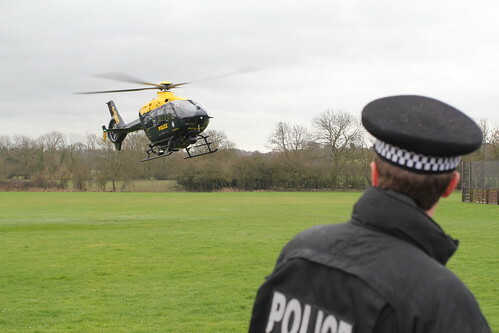 The information goes into a diary which can be accessed by the Operations control staff if need be - if, for example, someone phones in with the classic line "There's a man with a gun, and he's acting a bit suspicious". It sounds perfectly reasonable and sensible doesn't it. 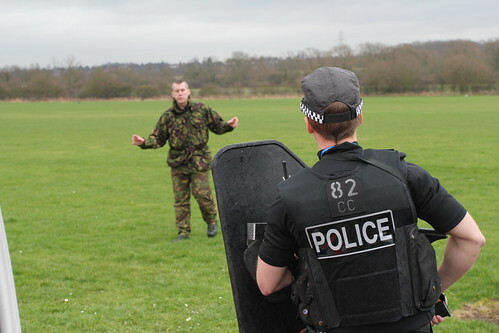 Even more so after I - and around 35 shooters from the Leicestershire area - had gone through a mock training exercise where we were put in the place of the Operations room staff. We listened to a typical 999 call from a genuinely concerned member of the public, then voted on the best action to take. Then in came another 999 call from the same caller. This time the 'suspicious looking character' was lurking at the back of a school. A check on the now complete reg no of his 'tatty white van' showed it belonged to a man with a history of violence, and previous access to illegal firearms. Our lecture hall full of dyed-in-the-wool shooters voted as one: send in the Armed Response Unit. I think if there had been a button for the Army, Navy and Air Force, they'd have pressed that one. And yet... it turned out our man had borrowed his mate's van because his Land Rover was in for service. He was a professional pest controller, doing a spot of work. And since he was nearby, his wife asked if he could pick the kids up after school. The scenario was carefully designed to show us how difficult it is for the police to get it right; how the information is always incomplete and often misleading; and how they can't just ignore what could turn into a serious threat to the public. To help push the message home, we were treated to a firepower demonstration at the Tactical Firearms Unit's splendid indoor range, where officers fired their standard weapons - the Glock 9mm pistol, H&K G3 5.56mm carbine, baton rounds and Taser. Then we went outside to watch their "legitimate shooter" subjected to a "low profile stop" - which is where I began this post. As I drove back down the M1 through interminable miles of traffic cones and 50mph average speed limits, I turned all this over in my head. Do I think a voluntary notification system is a Good Thing or a Bad Thing? And yet, could this be the thin end of the wedge? That concern was clearly on the minds of some in the room. This year it's voluntary, next year it's 'best practice', the year after... well, if you're not going to follow best practice, should we really be renewing your FAC? That's certainly not what's behind the Leicestershire scheme. Graham and his colleagues set up the scheme for the right reasons, and they're pleased with the results so far. They're keen to listen to shooters' concerns, and improve the scheme where they can. When I tried to explain my "thin end of the wedge" worries, they looked at me somewhat blankly, like they thought I was being a bit paranoid. I, in turn, wondered if they, living in something of a bubble, were being a little naive. As for the title of this post, what did I learn about how not to get shot? Simple really. Don't act like you might be about to shoot at them. 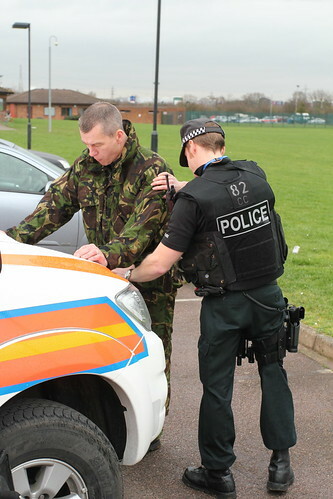 To a firearms officer, it's all about 'threats', 'compliance' and 'control'. They've been sent out to deal with someone who probably isn't , but might be, a homicidal nutter. That's a threat - to them, and to the public at large. 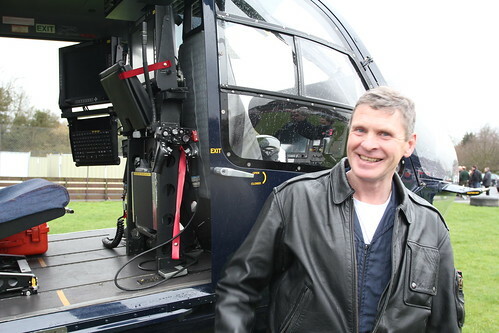 The helicopter hovering over you can't engage in a detailed conversation about the legalities of pigeon shooting. Neither can the armed officers standing by their vehicles 300 yards away. You can barely hear each other. If you're holding a gun, or they can't see your hands, you're still a threat. Put the gun down slowly and carefully. You can break it or open the bolt if you wish - just take care not to look like you're pointing it at anyone. Step away from it, and go where you're told, with your arms out so that you're clearly not hiding another gun under your clothing. They're not going to shoot you for failing to comply with an instruction. But by being cooperative you help them get their job done with the least risk to all concerned - you included. Once they are satisfied that the situation is safe and under control, then you can give them a lecture about your rights to enjoy your sport peacefully. Just remember, they've heard it all before, and like as not they're shooters just like you! What a great day Woodspring Pigeon Shooting and Wildfowling Club laid on for young shots yesterday! The club's Rob Collins explains in the video above what it's all about - but essentially they provided a hands-on introduction to the world of fieldsports for a group of 40 youngsters, most of whom had no direct experience of shooting or the countryside. And how they loved it! It was great to see girls and boys getting down on their knees to set nets, pick up ferrets, handling dead rabbits, firing airguns, bows and shotguns, inspecting traps, blowing duck and goose calls... One father commented that he's spent a fortune on XBox games to keep his son amused - but this was the first day he hadn't heard "I'm bored Dad!" And the whole day helped raised funds for a local children's hospice. Well done to Woodspring, and all those who supported them. It seems there are some people in the birding community who cannot abide the idea of birders and shooters working together - and are prepared to break the law to torpedo progress. Chrissie Harper, who runs an owl rescue and gratefully accepted donations from shooters to buy some much needed hospital boxes (story here and here), has now received threats and hate mail. An anonymous letter sent to Chrissie says that "shooters are walking tall because of you", and on the back the threatening message "the world is a dangerous place". Let's hope the raptor community are as quick to condemn this vile behaviour as they are to condemn alleged cases of raptor persecution. I was pleased to see this comment from a keeper on the excellent 'Working for Grouse' blog: "To suggest that harrier persecution is part and parcel of upland keepering is misleading, and only the most foolish would consider harming birds of prey to boost grouse numbers." It's an interesting post, which supports my own view that the scale of the problem is often exaggerated for political and fundraising purposes. Fascinating, this latest RSPB press release (which at the time of writing hasn't made it onto their media website). Instead of the headline-grabbing whizz-bang style which the RSPB's media department is capable of, it's almost like they're trying to bore you to sleep before you get to the nitty-gritty. What the release actually says is that predator control works. Upland waders such as lapwing and curlew are affected by predation. And they do better on grouse moors, where predators such as crows and foxes are controlled. 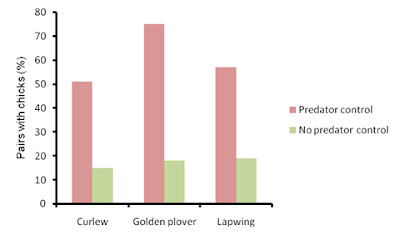 Game scientists welcomes RSPB study showing influence of predators on wader declines. The Game and Wildlife Conservation Trust (GWCT) welcomes the recent RSPB study which explores the causes of population change in upland waders. Professor Nick Sotherton, director of research with the GWCT said, “We welcome this RSPB study as it reinforces the message that predator control on grouse moors benefits declining species of birds, especially where crows are removed. It would be very sad if we lost a significant fraction of our bird life through want of necessary wildlife management. The evidence from our research is that such losses are not inevitable and the North Pennines, which is almost entirely managed for grouse shooting and hosts high concentrations of waders, stands as a testament to the difference game management can make to conservation in the uplands. Five organisations at the forefront of conservation of the Scottish countryside have branded a new report* on Hen Harriers as out of date and misleading. The British Association for Conservation and Shooting (Scotland), the Scottish Countryside Alliance, the Scottish Gamekeepers Association, the Scottish Estates Business Group and the Scottish Rural Property and Business Association have written to the Minister for Environment setting out their concerns about the report, due to be published this week. The report, coordinated by Scottish Natural Heritage (SNH), looks into the conservation status of Hen Harriers, but only up to 2004. It concludes that persecution was the main factor limiting the growth of the Harrier population, but serious scientific flaws have been identified which undermine its conclusion and the five organisations recommended that it should not be published until those flaws had been corrected. Regrettably, although SNH has recognised discrepancies in the report they have not been corrected. SNH has also acknowledged that the report will need to be revised almost as soon as it is published to address these flaws and limitations and to bring in new data. 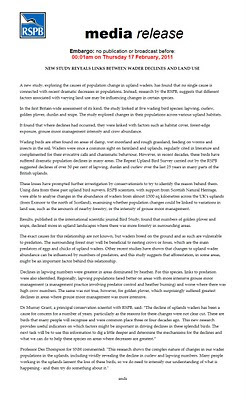 Contrary to the impression given in this outdated report of a Hen Harrier population still being constrained by persecution, there has only been one confirmed incident of Hen Harrier persecution between 2004 and 2009** indicating that efforts to tackle that problem are now being effective. In parts of the country where Hen Harriers are not doing so well, there is evidence for a range of other reasons, such as predation by foxes and limitations on food supply, that have not been properly considered in the report. In other areas there is no likelihood of human persecution yet Harriers are still not thriving. A spokesman for the five organisations said: "Publication of this report has been pushed through to allow its consideration under the Wildlife and Natural Environment Bill. It is essential that MSPs deal only with scientifically proven facts. "Our organisations are all committed to tackling any issues of wildlife crime robustly, and for the Government and SNH to now promote the use of misleading science can only undermine the goodwill that has been generated by joint projects in recent years. However, we do welcome the firm recommendation from SNH that a proper dispute resolution process is set up in Scotland to address this difficult issue. We do regret that organisations we work in partnership with in the sector were unwilling to let SNH reflect our concerns publicly." Professor Des Thompson, SNH principal adviser on biodiversity, said: "The hen harrier framework report is based on sound, recognised scientific principles and the most up-to-date data available. The report is based on information from the RSPB wildlife crime investigations database, in which incidents are recorded as either 'confirmed' or 'probable' persecution. "There will be more detailed data available within the next two years, particularly from a hen harrier survey carried out in 2010 which is currently being collated. This will add detail to the picture, but it's clear from the reliable and recognised statistics available now that persecution of hen harriers is a serious problem." GAME & Wildlife Conservation Trust’s (GWCT) review of the newly released Hen Harrier Framework has highlighted that, while Scotland’s harriers were nationally in favourable conservation status in 2004, distribution in some areas is poor. The Trust also identifies that the scientific approach taken in this species framework needs further revision and the conservation approach for this species should be one of conflict resolution. GWCT welcomed SNH’s recent offer to review the Joint Nature Conservation Committee (JNCC) Hen Harrier Conservation Framework and although the review secured helpful revisions to the framework, GWCT’s scientists remain concerned about a number of themes. The Trust feels that the broader moorland conservation requirements have not been balanced with raptor conservation, as is required in European law. We welcome SNH’s proposal of a prompt review of the framework and want to work with all the organisations involved to achieve a better distributed and resilient hen harrier population in the UK alongside grouse moor management, a valuable economic and conservation land use. 1. We are pleased to see that on the basis of the criteria selected by SNH and the report’s authors, Scotland’s hen harrier population was nationally in favourable conservation status in 2004. However two of the three criteria used to assess conservation status, at the level of individual Natural Heritage Zones, are flawed. The result is that no matter how high or low the harrier population size surveyed in 2004, application of the criteria would always have found that half the sites failed and half passed each test. This not a robust approach to assessing long term conservation status. It also remains a matter of concern that the framework has been published in the year following a national survey of harriers but without using these data. 2. The study reveals harriers are not evenly distributed across Scottish regions in relation to suitable habitat. Persecution is the focus for possible explanations of this distribution. Although we acknowledge the effects of persecution in some regions, more could have been done to explain the relative contributions of the many other factors affecting harriers, in particular golden eagle-harrier interactions, food supply and predation by foxes on nesting harriers. 3. 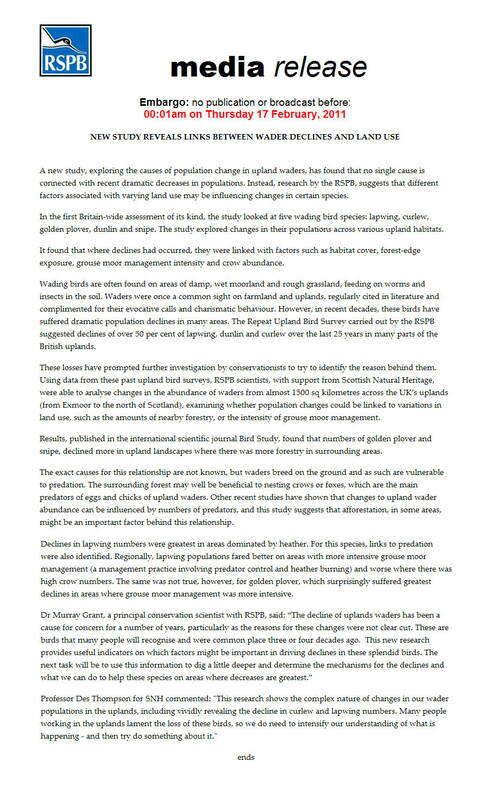 The accuracy of the population estimates could have been improved by not assuming a standard occupancy rate in suitable habitat and using a finer scale habitat map; an earlier report revealed that the extent of land suitable for harriers in Scotland (at the fine scale) may be 26% (rather than 42-50% in the model). At that scale the potential population size may be 931 harriers, well below the published 1467-1790. 4. The report acknowledges that the complex interactions affecting harriers are already being explored by the UK’s hen harrier grouse management conflict resolution processes. The GWCT feels that this framework should have drawn more on these. Central to sustainable harrier conservation is the balance between maintaining heather moors, healthy food supplies and low fox predation pressure for harriers while allowing red grouse shooting to thrive and deliver these harrier requirements. These issues are recognised in the Langholm Moor Demonstration Project and Environment Council attempts to resolve the real conflict between hen harrier conservation and red grouse management. This will come as a surprise to some people - but shooters rallied when Chrissie Harper put out a plea for help for her bird of prey rescue centre in Oxfordshire. Chrissie, who runs Chrissie's Owls and Stonesfield Owl Rescue, mentioned on Facebook that she was desperate for funds to buy new hospital boxes. The boxes were needed to cope with a massive increase in the number of owls and birds of prey needing treatment and rehabilitation, due partly to recent harsh winter weather, and partly to what Chrissie calls the 'Harry Potter effect'. Shooters among Chrissie's circle of Facebook friends took up the cause, reposting the appeal and making their own donations - raising a total of £300. The amount was matched by an animal rescue centre near to Chrissie in Oxfordshire, enabling her to buy six boxes. Chrissie's Owls and Stonesfield Owl Rescue was set up nine years ago by myself and my husband Tom, although I have worked with owls and birds of prey for twenty years, we run it together with the help of a few dedicated volunteers who help out when they can. We have in our care forty four owls and birds of prey at the moment, these being mainly birds we have rescued from bad homes or ones which have been bought as pets, the Harry Potter effect, and then become unwanted. Last year we also took in or collected fifty wild owls and birds of prey that needed care until they could be returned into the wild, sadly a lot of these birds were very badly injured, mainly being struck by vehicles or because of the extreme weather conditions starving to death and although we try to save everything this is impossible and also heartbreaking when we lose one. Last year was our busiest year ever and stretched us to the limit and we struggled to find room for some of the birds that needed our help, just before Christmas I was called out six times in as many days, we never refuse to help and provide a twenty four hour rescue service, we also have the complete support of our veterinary practice which we are very grateful for. We have always raised our own money to fund our rescue, this is achieved by going to Country Shows and other outdoor events and I also give talks all over the country to groups and organisations, we also do a lot of school visits which we feel are very important as children are the future of our wildlife. I have been totally overwhelmed by the help and support I received from people who I had never met but were my friends on Facebook when I mentioned our predicament and desperate need of Hospital Boxes to keep the large amount of rescued birds we had in last year and struggled to find room for, the response was amazing, I am very proud and had never asked for any help before but sadly felt that if we didn't get help we would not be able to do what we love and are committed to in the proper way. The help I have received has made me many friends, many from an unexpected quarter, the shooting fraternity, I have to be honest and say that some of these people have had a few home truths from me in the past and to get their support and learn that they to have a genuine love for the owls and birds of prey that I dedicate my life to came as a big surprise to me. 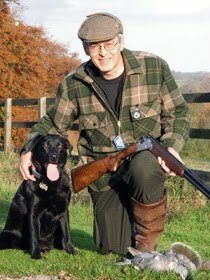 I have been very biased toward hunting, and I am afraid there is not much change in that direction, and shooting but this has shown me that we should not judge everyone by the few bad apples that spoil the barrel so to speak and we must all try and work together finding a solution to the problems facing our countryside today, it is time to talk not fight. We run our own conservation scheme, all be it a small one and donate five owl and kestrel nest boxes every year locally to try and put something back for the pleasure we receive from working with these birds and hope to continue for a few more years, especially trying to help our beloved Barn Owl and the Kestrel which are in such decline. The support I have had has shown me that we can work together and I would like to thank each and every one of you who gave so generously from the bottom of my heart, I have learnt a lot from you all and if I can change my attitude and work with you then others should be prepared to do the same, I will never agree to everything that happens but if this helps build bridges between people who shoot responsibly and people like me who donate our lives to the things we love and believe in then I will be happy. I've had a fascinating conversation with Dr Adam Smith, director of the Game and Wildlife Conservation Trust Scotland. As you might expect, he sees the harrier/grouse conflict from the shooting landowners' perspective. But he also brings a scientist's objectivity to the problem, and he's not afraid to confront the issues. And, of course, he has a unique insight into the estate owners' position - after all, he has spent years advising them on how to manage their grouse moors to make them more productive, not just in terms of grouse bags, but in a wider sense too. GWCT believes in managed wildlife solutions. In Britain, says Smith, we have fundamentally altered all our landscapes already. It's naive to suggest there's any alternative to management - whether it's corvids and songbirds, or harriers and grouse. We cannot step back and let nature look after itself. The Joint Raptor Study which ran at Langholm in the 90’s demonstrated what can go wrong; a balance needs to be struck. 'Management' doesn't mean killing harriers. There are more subtle ways of managing the harrier population. Smith has done work with Steve Redpath and others on 'non-lethal' methods. These include 'soft interventions' such as i) Diversionary feeding (but the effect is unproven, and it's impractical in many cases), and ii) Removing harrier chicks when they hatch, raising them in captivity, then releasing them where or when they no longer threaten the grouse. The latter would require a licence. It is perfectly possible to have a thriving grouse moor and a population of harriers - "That's an entirely sustainable position" says Smith. The big risk for grouse moors is when grouse numbers fall to low levels (which can happen due to disease etc) - that's when harriers (and other predators) can prevent numbers ever building up again. This is called the 'predator trap'. Grouse moor owners need to be offered a legal way out of the predator trap. RSPB and others have resisted going along with any suggestions of legalised harrier control/management because it looks like giving in to blackmail - along the lines of "Let us control harriers or we'll carry on doing it illegally." I am slowly coming round to the view that this perceived "blackmail" is the single biggest stumbling block to cooperation and progress on this issue. As I've mentioned in private emails to one or two correspondents, I don't believe it's realistic to think that we will be granted licences to kill birds of prey - even though there's a good logical argument that, in certain circumstances, we should be (and yes, I'm aware that we can point to examples where even the RSPB has applied lethal control methods - although not, so far as I'm aware, against raptors which are widely regarded, somewhat illogically, as a special case). Not only that, I think it harms shooting's position for us to campaign and lobby for a licensing system to kill birds of prey. If we could drop any ambitions for lethal control, I'm sure we'd have support from RSPB and others to develop effective methods of non-lethal control. That last point was too much for one shooter, who told me in no uncertain terms: "Instead of censoring the shooting community and advocating appeasement why not support it against the conservation Taliban or are you actually one of them?" Gary Hyde of York Guns was arrested in the US on suspicion of illegally importing thousands of Chinese manufactured AK47 parts. The story has been reported in the York Press here. It seems that Hyde was also implicated in an alleged plot to supply 130,000 Kalashnikovs to Libya - he was named in US State Department classified memos released by WikiLeaks. More info on that one here. 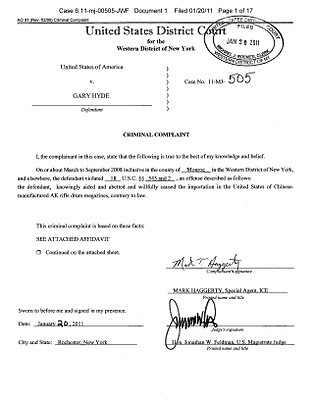 We are aware that allegations have been made against Gary Hyde a director of Jago Ltd. by the United States Authorities. 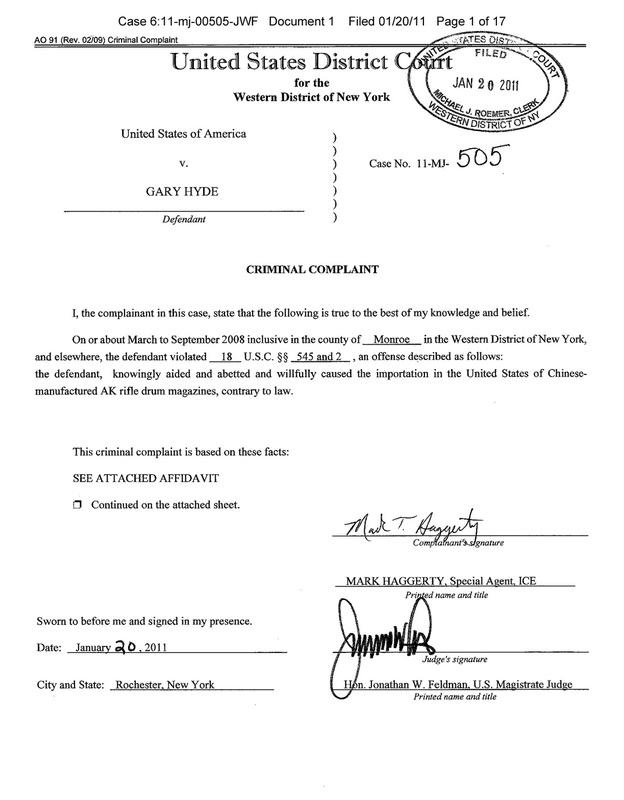 Although Gary Hyde is Managing Director of York Guns Ltd, no allegations have been directed towards York Guns Ltd. and no enquiries have been made of the company by the US authorities. The company will continue to function as normal in his absence. I'm getting a number of supportive emails from shooters about my stance on harriers and raptor persecution generally. Interestingly, they all say "this is not for publication but..."
There are clearly a lot of shooters who, like me, find raptor persecution totally unacceptable - but are nervous of standing up and being counted. I can understand that. There's a sense you might be perceived as letting the side down, by appearing to side with the antis. I think that's a mistake. I think shooters should proudly stand up and say that they're against raptor persecution, that they won't tolerate it on any shoot they're involved in, and that they'll do everything they can to bring criminals to justice. Like me, they'll be suprised to discover just how much support they've got. ...it's good to see this issue being addressed in a national shooting publication. I'm with you - raptor persecution is unacceptable and I feel that if it is not addressed by the shooting community, it will be the issue that is used by those opposing shooting to bring us down. You do realise we are Sporting SHOOTER magazine?! Our readers shoot things and eat them! It’s National Vegetarian Week sponsored by Cauldron Foods from 23-29 May 2011. It would be great if you could mention it to your readers. This year we have a brand new Going Veggie pack, 7 new recipes with photography and an event in Manchester on Saturday 21 May. Things may look quiet on the surface, but underwater I have been paddling furiously. Which is a roundabout way of saying that I have been in contact with a wide variety of people who have an interest in raptors in general, and hen harriers and grouse moors in particular. Treading carefully too, I might add - the subject arouses strong feelings. If you were to place some of the people I've been talking to in the same room... well, sparks would fly, maybe fists too. What has struck me, though, is that everyone has come across as impassioned and genuine, whatever their take on the subject. I am not going to comment on how widespread the problem may or may not be - that's where most discussions run in to a brick wall. But talking to people on all sides of this debate, I am now convinced that some keepers firmly believe that they wouldn't be doing their job properly if they allowed harriers to set up home on their patch. Equally, there are many in shooting (of whom I'm one) who believe that killing birds of prey is totally unacceptable, whatever the circumstances. If it means a grouse moor is financially unviable, tough. For me, shooting was never about money anyway. When these two types of shooter collide, things get unpleasant. Imagine a situation where a young keeper with a 'modern' outlook finds himself working under an 'old school' head keeper, and gradually becomes aware that killing raptors is considered part of the job. He wrestles with his conscience, perhaps for months. His career, his family's wellbeing, maybe even his own safety, depend on him keeping schtum, betraying everything he believes in. Perhaps that goes on, and he just learns to live with hating himself. Many of us have been in jobs like that. Or perhaps, brave soul, he decides to turn whistleblower. First problem, where to turn? His employer? No chance. The RSPB? You must be kidding. 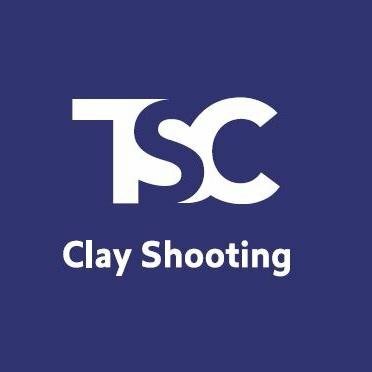 The shooting organisations? They say they're against illegal killing, but when the chips are down can they really provide the care and, yes, protection, that our whistleblower is going to need? The police? That's probably where he turns - and that's when his personal hell escalates to a whole new level. If we're ever going to tackle this problem head-on, this is the guy we need to support 100%. At present, it would take a very brave man indeed to dob in a rogue keeper. The RSPB's 'Bad Apples' campaign was aimed at such people, but it offered them no incentive, no protection. We need to do more. Who does, and how? Well, I don't have the answer, but my instinct is to look towards the keepers' organisations, who at least have some experience of supporting keepers in difficult situations, and of all those groups are most likely to be trusted by our man on the horns of a dilemma. Whilst talking to various people involved in this debate, it struck me how in many ways it's similar to issues like the impact of tuna fishing on dolphins. Is there scope for a 'Raptor Friendly' scheme for shoots, just as you might see a 'Dolphin Friendly' logo on your tin of supermarket tuna? The idea certainly has a superficial appeal - it could get shooting estates and the raptor lobby talking positively, which must be a good thing. But who would draw up the criteria? And who would administer the scheme? Would shoots really go along with something run by the RSPB? Or would we need another body to run it, one that's not perceived as so anti-shooting - even though that would weaken the value of the scheme? Again, I don't know the answers - but I think the questions are worth asking, and I'd be very interested to hear views from all sides. Shout if you must, but I listen better when people talk nicely!